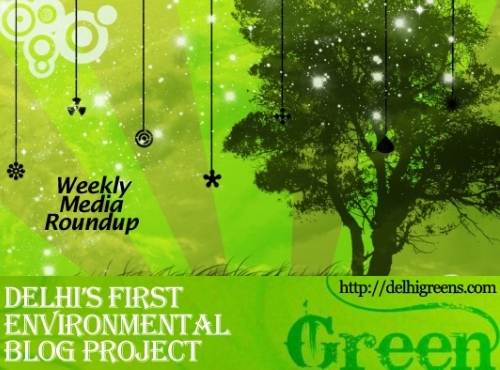 Weekly green news update from across different media networks for week 28 (between July 11 to 17) 2016. The Delhi High Court has asked all civic agencies whether they have taken steps to encourage rainwater harvesting in the national capital and sought a detailed report from them on the current status of their initiatives. Heavy rains which began on Friday night again exposed the level of preparedness of government and municipal corporation to fight monsoon. The Delhi Jal Board is preparing a scheme in consultation with IIT-Delhi and the Central Pollution Control Board to use water released from sewage treatment plants to wash Metro trains and DTC buses, and in stadia. Population criteria may have kept Alappuzha out of the Centre’s ranking on cleanliness, Swachh Survekshan-2016, but this Kerala city, along with Panaji and Mysuru, have emerged the cleanest in India in another survey by the Centre for Science & Environment. Proper disposal of e-waste and the right approach towards it is crucial. The National Green Tribunal has directed the Delhi Jal Board to submit a detailed status report on the installation of rain water harvesting systems in residents welfare associations in the state. Delhi’s air quality in July is the best in a year but unless you seek out the information on websites, you wouldn’t really know it. After battling problems of waterlogging on arterial roads and depleting groundwater levels for the past few years, residents of Aya Nagar have come up with a solution that may address both problems. An indigenous solar tree that requires a very small patch of land but could light up to 20 street lamps is set to come alive in Delhi on Saturday. The Supreme Court-appointed Environment Pollution Control Authority has noted faulty CNG kits and poor enforcement on the part of the Delhi government, overlooking the fitting of such kits in hundreds of cars, could have contributed to rising levels of the oxides of nitrogen pollutants. The Delhi government’s flagship pollution-control plan — the odd-even scheme — will be back for a third round in winter this year, Transport Minister Satyendar Jain said Tuesday. After being pulled up by the National Green Tribunal for delaying the process, the Delhi Electricity Regulatory Commission is soon going to come up with the rates at which discoms will have to purchase power generated by waste-to-energy plants. The National Green Tribunal on Monday sought the Delhi government’s stand on deregistration of diesel vehicles older than 10 years and petrol vehicles older than 15 years plying in the national capital region. The National Green Tribunal has asked Delhi Development Authority, NOIDA authority and other departments to furnish complete details of builders and others flouting instructions about dust emission. WWF India said, the country, after Indonesia is among the highest of shark fishing nations of the world, as now fishing here has become more “targetted” than just “incidental”.